Friday is the day of happiness and joy. Friday is considered as the eve to weekend. And a Friday evening will be more joyful and happy. 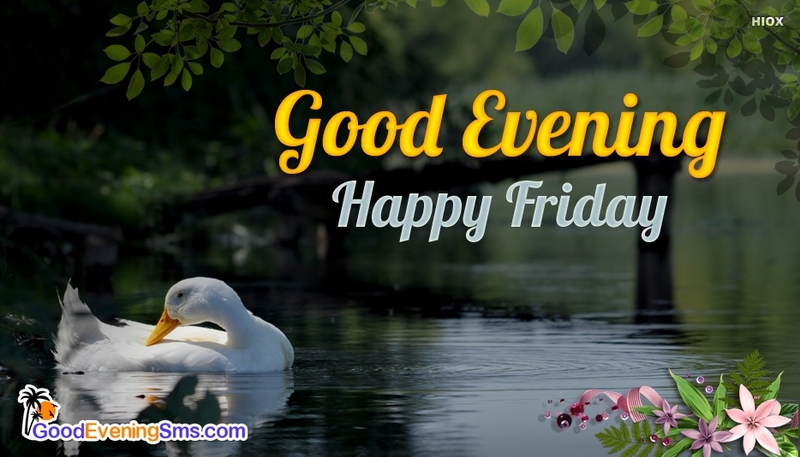 Share this "Good Evening Happy Friday" picture with beautiful background image of a lovely duck on a river, with your dear ones and make this Friday evening more happy one.